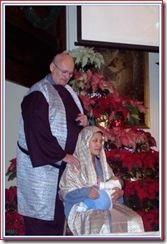 Gene, Mai and Fred Wilson as the holy family during Christmas services on Christmas Eve at the EUM. 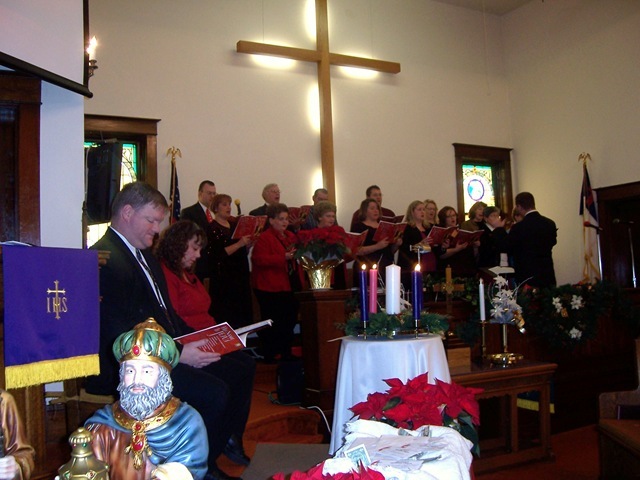 Church in Oblong, Illinois. 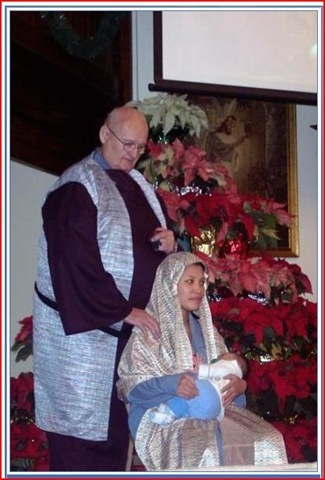 Our family enjoyed the opportunity to portray the holy family. The privilege traditionally goes to the family with the youngest child and this year Fred was the youngest. More pictures can be viewed here. Where were you when Apollo Flew to the moon? Where were you when Apollo flew to the moon and landed for the first time on July 20, 1969? I can remember exactly where I was and whom I was with. I was back in Germany about a week and was walking down the street in a small town with my friend Fish. As we strolled down the street a German housewife ran out of her house saying loudly, “Come here!” in German. We entered her home and were shown into her living room where her entire family was seated around a television. The moon landing was about to take place. It was amazing to watch. It was even more amazing to watch from the home of complete strangers who had invited us because they saw us walking down street in our Army uniforms. We watched the landing and heard the famous words, “One step for a man…” the family insisted that we join them for snacks and stay for conversation. as the day passed we thought perhaps we were staying too long and our hosts were just polite about saying anything. We were apparently mistaken as the family insisted we stay for a wonderful dinner prepared in traditional German style and share a large amount of liquid refreshments of various flavors and potency. When the time to leave actually arrived we left as lifelong friends. It is a memory I treasure. My friend and I as well as our other comrades on TDY were not aware that the spacecraft had been launched or that the landing was about to occur. We were treated with kindness, love and generosity by people we did not know simply because we were American soldiers and they wanted to share the moment with my friend and I. Where ever they are today I send them love. 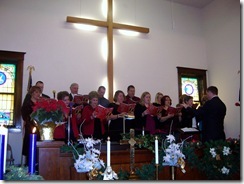 The church we attend presented its Christmas program on December 21, 2008. Here are some pictures taken during that presentation. 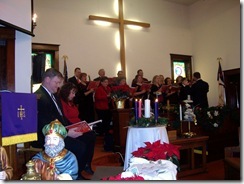 Click on the pictures for a larger view of the occasion. On September 20, 2008 Mai, Dave and Gene Wilson went fishing with Tony McMorris at the Olney Lake. We left our home in Oblong Illinois and met Tony at his house at one o’clock for the trip to the lake in his boat. We were all excited for the chance to fish and to become better acquainted with Tony. Mai was excited as she had never been fishing before. She likes to eat fish and was hoping for some new taste delights if we caught some nice fish. We caught fish! Mai caught the largest one of the outing, a six pound catfish! Dave and I both caught smaller fish. Click on the link below to read the rest of the story and to view the pictures of our adventure. We spend an afternoon at the country Bumpkin with Bill, Cheryl and Will Cox as they accompanied the Oblong Illinois Cub Scout Pack on an outing for Halloween. A good time was had by all. Thanks for inviting us Bill, Cheryl and Will! 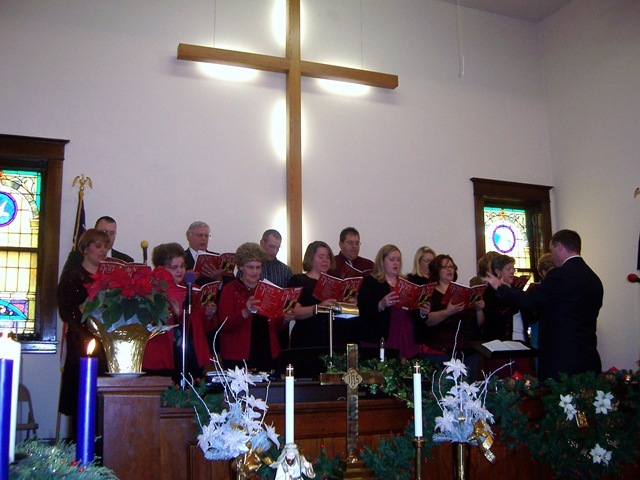 Click on the link below to view pictures.